Unscripted announcement speech = quotable tweets. The most deviously brilliant thing Obama ever did was convince Republicans it’s unmanly to use a teleprompter. Kasich’s aides said he would speak impromptu. And he is . . speaking . . and speaking. .. and speaking. 38 minutes so far. 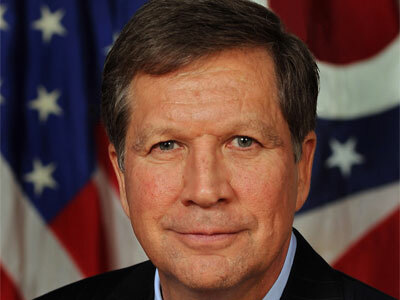 Kasich will get credit for not speaking from a text. But, this is sort of a rambling mess. tl;dr Kasich: Reagan, Ohio State, Reagan, Ohio State. Unscripted speeches also lead to more quotable gems than prepackaged, consumer-tested, committee-revised boilerplate does. In this case, many of Kasich’s quotes also came in Twitter-sized packages. Kasich, dreamcrusher: “Everybody doesn’t get a trophy just for showing up.” This could be true of his presidential bid too. On a serious note, Kasich talks often on campaign trail, esp in New Hampshire, and from gov mansion on drug abuse. Kasich takes the ANTI-bootstrap route in his speech, says working hard just isn’t enough for some people.